What Concerns Auto Dealerships Other Than Selling Cars? 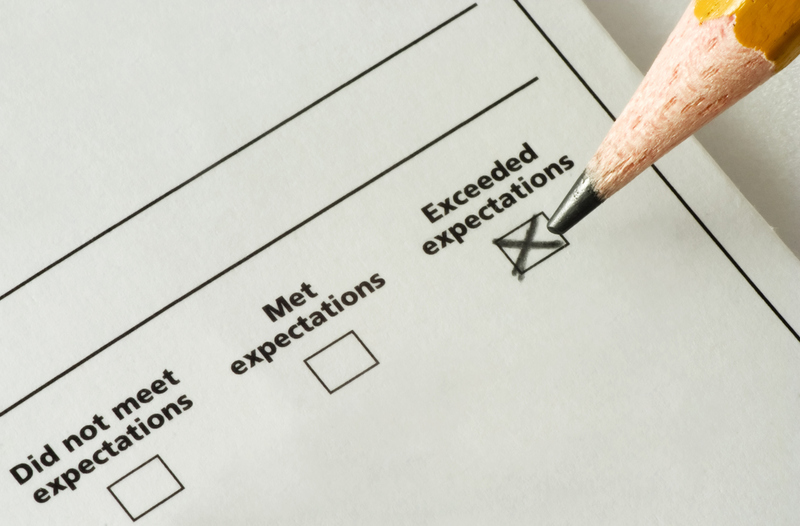 Buyers should also be aware that auto dealers will ask them to take a consumer satisfaction survey after the sale, and that the results will be submitted to the manufacturer. This step is extremely important to the dealer because a high score will give them significant advantages in dealing with the factory, such as getting hard to find models, special discounts, etc. 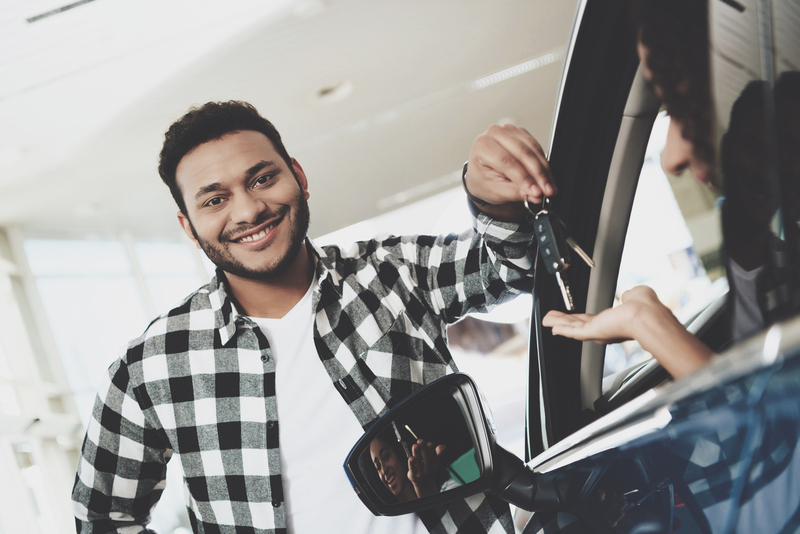 The bottom line is that auto dealerships truly want consumers to have a good buying experience so they return to purchase another vehicle the next time one is needed. This is very important in today’s market because of changes in consumer buying preferences. In the past, people traded in their cars every four years, but today, consumers are keeping their cars longer (six years on average). This obviously impacts how many cars the dealer can sell and they want to do everything possible to keep consumers coming back. As mentioned in part one, it takes four hours from start to finish for the average purchase. A contributing factor in this lengthy process is that there are a lot of different things that need to be done, and they cannot all necessarily be done at the same time. Assuming a consumer knows which car they want to test drive, the dealer has to get it. That may entail going to a remote storage lot to retrieve it, bringing it back to the dealership for washing and fueling, and prepping it for the consumer’s eagle-eye inspection. 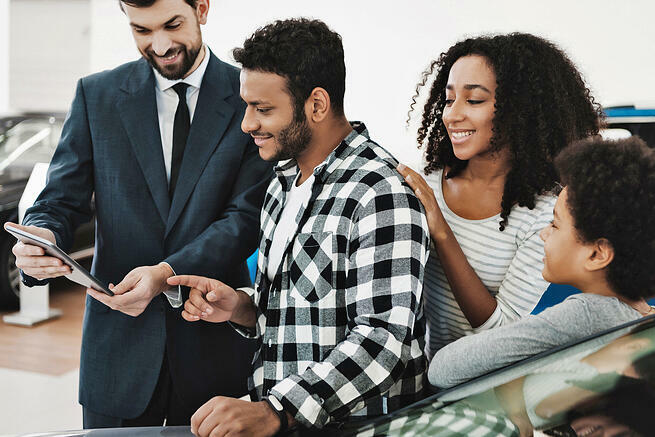 After a consumer test drives and decide to purchase a vehicle, the dealer has to run a credit check, get a loan approved, appraise the trade-in and figure out the payoff amount, get consumer agreement on the price, and draw up the contracts. This is not going to get done in an hour, unless consumers prepare in advance. 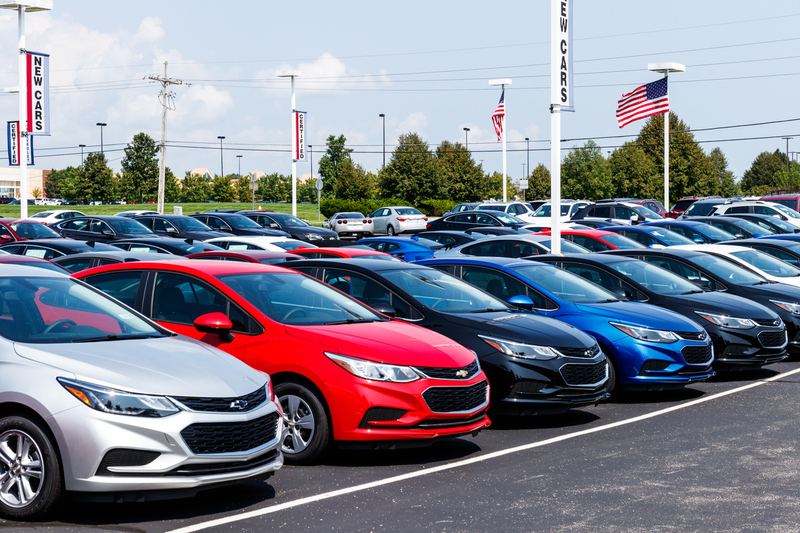 Consumers should visit auto dealerships during the week — not on the weekend, or on a holiday like the Fourth of July — because weekends are the busiest time in retail automotive. Along these lines, if consumers can’t go during the week because of job obligations, then they can drop off their trade-in for an appraisal on a weekend morning. That will save a lot of time. Dealers try to prepare by having enough salespeople on the floor, but at some point, consumers will be invited to the finance office. Fewer people work there and they typically need about a half hour with each customer to fill out all the documents and get them signed. Consumers should have their paperwork on hand and in order (details in part one). The last time I bought a car I left the check book at home. (I thought I was just going to look at what was on the lot and didn’t really think I would buy something the first time out). Don’t make that mistake. The most exciting part of the buying experience is, of course, the test drive. Conventional wisdom is that if the dealer can just get a person to take a test drive, they know they will sell the car. Normally, the dealer will hold off on appraising a trade-in until after the test drive because they want to know the buyer is serious. 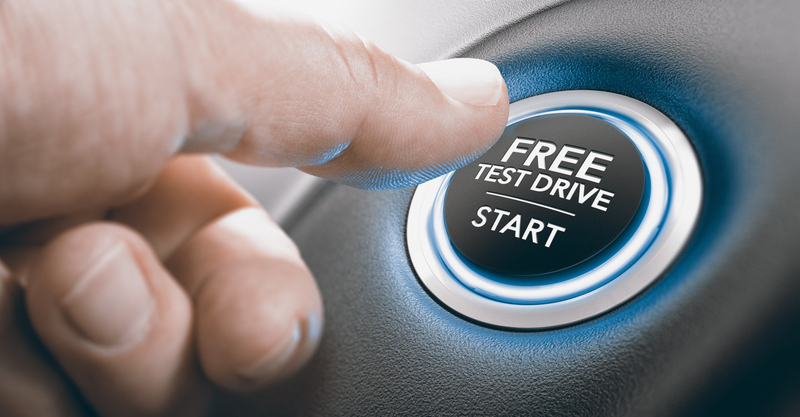 Tip: consumers can save time by telling the salesperson to appraise their old car at the same time they are taking the test drive. The appraisal is a time-consuming process because the dealer doesn’t want to be stuck with a surprise in the reconditioning process that may cause them to lose money when they resell the car, or even worse, have to wholesale it at the auction. This will save at least a half hour. The thing that causes consumers the most anxiety is spending time in the dreaded “F&I” office (finance and insurance) because they associate this with high pressure sales tactics. But it doesn’t have to be that way. For example, consumers can save time by asking in advance for a quote on an extended warranty or gap insurance. Consumers typically think these things are unnecessary, but just consider that a new car has more lines of code in their 30 or so onboard computers than a modern airplane, and if a computer malfunctions it is going to be expensive to diagnose it and replace it. A dealer typically will bill out their service time at over $100 per hour, more for expensive luxury cars, and the bills can mount up quickly. Today, buyers can get a warranty and financing on a used car with a hundred thousand miles, which buyers should definitely consider in that situation. Yes, modern cars are very well designed, assembled, and built, but every car has a few quirks that will manifest themselves in every unit that was manufactured at some point in time. After all, nothing is perfect. Telling the F&I manager upfront what is wanted or not wanted can save time. Another way to save time is to learn how to use a new car while waiting to see the F&I manager. Modern cars are pretty complicated and it can take 15 minutes just to program and use the “infotainment system.” I had my Range Rover for a while before I figured out how to get the rear window wiper to work. Buyers will need to figure out how to connect Bluetooth devices, the voice-controlled navigation system, or use the back-up camera. For instance, a new car might have three information screens, a split-screen DVD player, and three zones for air conditioning (if driving a big SUV). Today many dealers have a specialized staff of trainers whose only job is to teach buyers how to use all of the features in a new car. Some consumers find this so complicated that the dealer will even arrange for a “refresher course” in a new car 30 days later, which seems like good customer service to me. Buying a new car doesn’t have to take four hours and it doesn’t have to be stressful (well, yes, there is some stress in spending $36,000, likely the most expensive purchase one will ever make, except for a home). 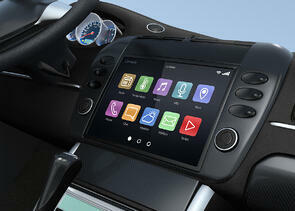 And remember that CrossCheck is here to help consumers and dealerships through the process. A new car dealer will not want to accept a rewards credit card for a car sale because the interchange fee they have to pay their payment processing company will be greater than their gross margin on the sale! Consequently, the dealer is going to ask the buyer to pay from a checking account. But there is some stress for the dealer here, because how would they know that a check is going to clear the bank? This is where CrossCheck enters the equation: we stand in at point of sale in real time and guarantee checks for the dealer. Dealers know they will be paid and can close out the sale. Buyers don’t need to pay any fees or interest, even for a deferred down payment. 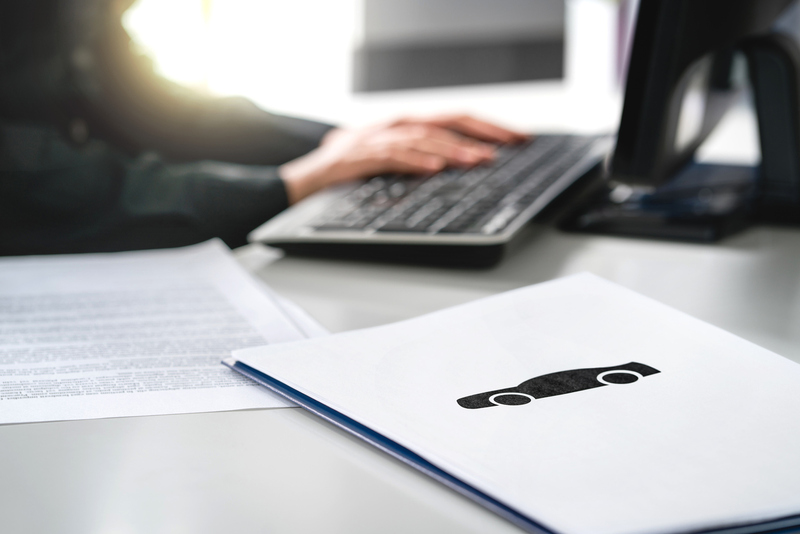 Just as consumers should be prepared to buy a car, dealer should be prepared to have someone manage their banking and workflow, and bring the buying process to a satisfactory conclusion with guarantee, hassle-free payment. That is what we do at CrossCheck. Download our free guide to learn how CrossCheck’s Check Guarantee service can help your dealership increase sales and mitigate risk while saving time and money.